DividendMax»Company Coverage»Country:United States»Exchange:New York Stock Exchange»Sector:Oil & Gas Producers»Company:Chevron Corp.
Chevron and Texaco completed their merger in 2001, creating the second-largest US-based energy company and the fifth largest in the world. The combined company can trace its roots back more than 125 years and now boasts operations in more than 180 countries across North America, South America, Europe, Africa, the Middle East, Central and Far East Asia, and Australia. Chevron has major operations in the world’s most important oil and gas regions. A leader in working in extremely difficult environments such as ultradeep water. A leader in refining, fuels, lubricants and additives. 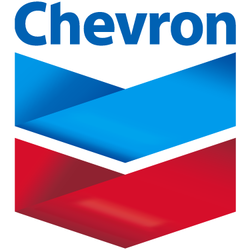 Chevron has a fantastic track record of increasing dividends to shareholders.